Here's the content you enjoyed the most during the month of December. Not counting today, you participated in a twenty percent increase in traffic over November, so thank you! Three sites tied for the fourth most popular post of December. Fully Understanding The Traffic Your Site Truly Generates was written late in the month, yet is tied for fourth place. Readers enjoyed the comparison of traffic, links and RSS feeds. Surprisingly, tied for fourth was Kasey Casem's American Top 40. Readers apparently enjoyed taking a trip down memory lane. Finally, American Girl And Molly's Blog tied for fourth place. This was a discussion of the blog on the American Girl website. Third place goes to our monthly review of Friends of MineThatData, a ranking of direct marketing, database marketing and analytics blogs. Second place was a brief article that linked to LunaMetrics, titled Do You Like Your Web Analytics Software Package? First place goes to Coldwater Creek, The Little Engine That Could, a discussion of the evolution of the Coldwater Creek business model from a catalog-centric business to a retail-centric business supported by a website. The top four posts clearly represent the diversity of the audience. Multichannel topics, web analytics, blogging, peer sites, and an obscure reference to Casey Kasem generally reflect the mix of readers and topics on this blog. Why not join in the fun, and offer your thoughts about 2007? Leave a comment at the end of this post. In my opinion, 2007 represents an inflection point, not in the software that we use for Web Analytics, but rather, for the people who analyze website behavior. God has smiled on you in ways you cannot imagine. You represent the future of multichannel retailing. It is you that should know more about how customers behave than anybody in your company. In the next five to ten years, you could have the experience necessary to run our multichannel businesses. This won't happen, however, unless you fundamentally change how you approach your job. Get out of your department, and start helping others. The fact that you should know more about customer behavior than anybody else means you have a responsibility to teach customer behavior to your organization. Start now, and in 2012, you'll be a leader who your company considers for advancement. Start telling a story. Outside of maybe your finance department and a few analytically gifted individuals, nobody in your company cares that a certain URL had a 3.19% conversion rate, along with a 64.9% exit rate and 49.5% shopping cart abandonment rate. Your co-workers, and especially your leaders, want to know what you can tell them that gives them a chance to be successful, earn a bigger bonus, and get promoted. Start telling them a story they can understand and use to make their lives better. Stop dazzling everybody with your numerical prowess. Your career depends upon it. Describe Customer Behavior Over Time. If your conversion rate decreased from 4.00% to 3.00%, and traffic increased from 100,000 visitors a month to 133,333 visitors a month, you may end up with the same amount of net sales. What if your customers now visit more often than they visited in the past, doing more shopping and less purchasing? Web Analytics individuals and the software they use must do a much better job of segmenting customers based on past behavior, and then use that information to describe customer behavior over time, not specifically within a "session". Tell your executive leaders that your best customers used to visit the website every twenty-seven days, and now visit every thirty-eight days. They can understand this. They can theorize why this might be happening. They can develop strategies to combat this problem, assuming it is a problem. They will include you in all of their meetings, and depend upon you for the analytical support of their hypotheses. Anticipate The Future. Nothing is more valuable to an executive than an individual who has a vision, an individual who sees potential problems, and identifies solutions before the problem surfaces. You can't anticipate the future by looking at funnel analyses. You need to step away from the metrics, and simply observe what is happening around you. Listen to people in other departments, and try to understand their issues. The future takes shape when you step back, observe, and listen. All of you gifted individuals who currently support web analytics departments have an unprecedented opportunity. Do not repeat the mistakes of database marketers, who threw away the golden opportunity they had in the early 1990s by being too metric-driven, failing to become strategic. Do not repeat the mistakes of CRM marketers, who so badly mucked-up their opportunity of the mid 1990s that CRM became a "four letter word". Do not repeat the mistakes of the E-Mail marketers of the late 1990s, who completely ruined catalog's replacement by not having the analytical infrastructure in place to accurately measure the incremental benefit they offered the customer. Do not repeat the mistakes of "multichannel marketers", who during the first half of this decade were so tied to the catalog strategies of the past that they completely missed the future. You know who you are. You are the ten year veteran of catalog marketing at a company like Garnet Hill, Cabellas, Oriental Trading Company, Crutchfield, Talbots, Orvis, Ross-Simons, Swiss Colony or PC Connection. In the 1990s, when your company launched an e-commerce enabled website, you were the one who still met with the CEO on a weekly or monthly basis. In 1999, you were the one who couldn't believe that your employees were leaving your company to work at some startup offering stock options. In 2001, you were the one who couldn't believe that a thirty-one year old online marketing whiz was promoted to a Vice President job. In 2003, you were the one defending the concept of "multichannel", proudly helping the DMA and print industry promote print as the key driver of online and/or retail sales. In 2005, you were the one being criticized for having twenty percent decreases in catalog volume, while the online marketing VP earned a gigantic bonus for driving thirty percent increases. In 2006, your CFO asked you to reduce page counts, in-home dates, or use any other tactic to decrease expense, at a time when the online channel leveraged the infrastructure you spend the 1990s building to achieve record profits. Multichannel marketing is rapidly shifting toward "online + retail". Catalogs and contact centers are rapidly becoming support channels, line-items in a profit and loss statement. Catalog professionals are like the person who owned the motel on Route 66, only to see I-40 built right next to Route 66. Within a few years, new businesses sprung up all along the new freeway. Customers transferred their dollars from the quaint little businesses along the highway, to the new businesses along the freeway. New communities sprang up near the interchanges. Tom's Diner went bankrupt. Olive Garden and Chili's thrived. Catalogers, and the vendors who support them, have tried the argue that their services fuel the online/retail business model. They were like the "Business 40" signs you see --- highway signs that tell the traveler to exit the Interstate highway, go into town, and use the products and services offered by the town. History tells us that this did not save the businesses on the old highway. Route 66 is a great example of re-invention. After being bypassed by the Interstate highway system, it adapted, it evolved itself into something relevant. If you work in the catalog industry, you can adapt in at least two different ways. You can get busy with the second half of your career, and find work somewhere in the future of our industry. Or, you can get busy testing new concepts, concepts that will become the future of the catalog industry. 2007 is the year where you need to get busy doing one of these two things. Simply carrying the multichannel banner around the office isn't good enough anymore. What Do You Do When An Outstanding Employee Announces She Is Leaving The Company? Assume you manage a team that has an outstanding employee. This individual earns $45,000 a year, and is a great candidate for a future management position. Unfortunately, there are no management positions available for this person to progress toward. As a leader, you have done as much as you can to help this person grow, professionally. At this time, the individual is compensated outside of the salary band your compensation department set for this job title. In other words, the individual is no longer eligible for significant salary increases. This morning, the employee enters your office, and tells you that she has accepted a job with a competitor of yours. This is a lateral move for the employee, the job is not a management position. She will earn $60,000 a year. As a leader, how would you respond to this situation? How do you deal with this threat? Do you promote the individual, and if you do, why didn't you promote the individual before the threat existed? Do you match or beat the salary, in spite of the stated salary band for this job --- and if you choose to match or beat the salary, why didn't you fight for this prior to the employee threatening to leave? Do you simply wish the employee the best in her new endeavor, weakening your department and weakening your company? What are your thoughts on finding creative ways to keep your best talent, ways that mitigate the risks of a salary structure and promotional structure that limits career development within your company? I see this problem as a huge challenge in the multichannel retail industry, over the next several years. Are there clever ways to combat these challenges? Earlier this week, I asked which multichannel retailer sent a catalog without the name brand on the cover. The winner is J. Jill, who sent the sale catalog on December 23. J. Jill's new Chief Marketing Officer is Hilary Chasin. I wonder how she perceives this unique marketing strategy? J. Jill has struggled for the past several years. Since being acquired by Talbots, J. Jill earnings have dragged down Talbots performance. 2007 should be an interesting year for multichannel specialty apparel businesses. I'm not sure why these announcements continue to surprise and disappoint me. Think about all of the employees who dealt with incredible stress trying to keep the Eddie Bauer brand afloat, earning next to nothing in the process. Then think about this: Eddie Bauer's Loss Is CEO's Gain. Multichannel retailers who developed their business via the catalog channel are about to face serious challenges when it comes to measuring the traffic that visit our websites. In the next few years, we will need new ways to measure how effective our website is at promoting our brand. Our websites will have far more links on other sites than the simple affiliate program links we have today. RSS feeds and the de-centralization of content (customers viewing your site via readers like Google Reader or Bloglines instead of directly visiting your site) will limit the ability of web analytics tools to accurately measure the strength of our websites. This will be a problem all of us have to face. Today, we can simulate the problems we will face by looking at the blogosphere. I have more than one hundred and sixty blogs that I track in Google Reader (this means I seldom visit the sites of these one hundred and sixty blogs that I am a loyal reader of --- I am loyal, yet these bloggers seldom if ever see me). Let's look at almost fifty of my favorite marketing, analytics and topical blogs that have enough traffic to allow me to measure visits properly.. A tool called Blog Juice allows us to see three elements of loyalty to a website. First, the tool measures how many people subscribe to your RSS feed via Bloglines. While there are numerous readers available, this gives directional evidence of loyalty via an RSS reader, loyalty that can be challenging for the website owner to measure. In reality, your most loyal followers will consume your information via RSS feeds. This also means your most loyal readers are the hardest to track. Second, the tool uses Alexa to estimate how many folks visit your website by typing in your URL, or by clicking on a link to visit your site. Alexa is a proxy for what a tool like Coremetrics measures for the standard multichannel retailer. Indirectly, Alexa measures the effectiveness of your search engine optimization tactics, as these individuals visit your URL or a specific page on your site. Third, the tool uses Technorati to measure how many sites link to your website. This is a version of "brand recognition" or "word of mouth", if you will. If people like your content, they link to it. The more popular or relevant your site becomes, in theory, the more links there will be to your site. Multichannel retailers do a very poor job of measuring this aspect of their marketing efforts. In the case of The MineThatData Blog, I have 45 subscribers via Bloglines. I am the 497,000th most popular website according to Alexa. I also have 196 links according to Technorati. This gives me a Blog Juice score of 2.7, a lower-than-average score for most blogs. This is reasonable, given the niche I serve. Interestingly, I can run these metrics for all of the sites I track. Next, I can compare each site, to understand which area (RSS Feeds, Visitors, Links) are the main strength of traffic generation for a site. Eventually, multichannel retailers must develop comparable metrics. Let's see what this looks like for almost fifty blogs that I regularly track. I rank each metric from best to worst. Once done, I can categorize each site based on where the site has strengths. These sites do an above-average job of getting readers to subscribe to RSS feeds: Duct Tape Marketing, Church of the Customer, Brand Autopsy, Jaffe Juice, Blogwrite For CEO's, Data Mining, Marketing Headhunter, Emergence Marketing, Joe Wikert's Media 2020 Blog, Fallon Planning Blog, Management By Baseball, Business Enterprise Management. One can argue that these sites have very loyal individual readers, because they subscribe to the RSS feeds of these sites at an above-average rate. While all blogs fail to capture the true number of real daily visitors, these blogs miss disproportionately more than the average blog. These sites do an above-average job of getting readers to physically visit their URL: Hitwise Intelligence, Fast Company Now, Marketing Profs Daily Fix, Occam's Razor, Marketing Shift, Converstations, Bly.com, The Viral Garden, Pro Hip Hop, New School Of Network Marketing, LunaMetrics, Rimm-Kaufman Group, Digital Solid. There are several ways to interpret this statistic. These sites may do an above-average job of driving traffic to their site via natural search --- their search engine optimization tactics might be better than the average blog. These sites may have an older audience that is not comfortable with RSS feeds. Maybe these sites do not offer the full post in their RSS feeds (hint: Fast Company). These sites may have so much content that the reader is compelled to directly visit the site to get information. Most of the analytical sites I follow ended up in this category. These sties do an above-average job of getting other sites to link to their content: Guy Kawasaki, Gaping Void, The Tom Peters Weblog, HorsePigCow, Coolz0r, Logic + Emotion, Diva Marketing, Experience Curve, Christine Kane, Beyond Madison Avenue, Marketing Nirvana, CK's Blog, My Name Is Kate, Customers Rock!. Some of these sites make a lot of sense --- Mr. Kawasaki is unabashed in his zeal for links to his site. Customers Rock! earned this outcome courtesy of the Z-List. Most of these sites are reasonably popular, and the link is in essence a call-out that occurs as a result of having good "word of mouth". Finally, these sites use RSS feeds, visitors to the URL, and links equally to drive traffic: Seth's Blog, Creating Passionate Users, Scobleizer, What's Next, Make Marketing History, Blackfriars Marketing, The MineThatData Blog, Sports Marketing 2.0, Note to CMO. These sites, ranging from popular (Seth's Blog) to virtually unknown (my blog), tend to get traffic from all three sources. BlogJuice ranks each site on a scale from 0.0 to 9.9 (most popular). While certainly not perfect, the site allows the marketer to understand if she is making progress growing her audience across three different popularity metrics. Bloggers --- if you want for me to run a quick evaluation of your site, please leave a comment below, or send me an e-mail, and I will compare your site against the rest of these sites. Each additional site measured improves the overall ranking and comparison system. Multichannel retailers --- this is your future. During the next two to five years, you will have to find ways to measure the effectiveness of your website activities in ways that traditional analytics tools are currently incapable of doing. You will have to measure those who consume information via RSS feeds. You will have to measure external links, in order to understand how effective your marketing activities are. You will still have to measure visitors to your site. Use the blogosphere as a test case for the tools you will need to implement in a few years. Welcome to the Boxing Day edition of The MineThatData Blog! Today, in Boxing Day tradition, we switch roles. Readers Jim Fulton, Jeff Larche, Michael Gamma and Don Libey contribute content. Please read their columns, and comment on their topics. Thank you Jim, Jeff, Michael and Don. As you may know, Boxing Day is about switching roles. A recent post from Seth Godin illustrates an employee at CVS talking on a cell phone, standing in front of a grease board that says "We cannot provide service if you are on your cell phone." It is so, so easy to find an example of a customer service associate making a mistake. Maybe today, on Boxing Day, we switch roles, and consider what it is like to be a customer service associate. We assume that this employee is talking to a friend about an evening activity or a party. What if the associate is talking to her doctor about her biopsy? Do you feel differently about her if that is the case? What would happen if somebody walked around our offices, snapping photos of our daily activities? Would the photographer ever find us reading blogs during the workday when we should be working? Would the photographer find us sending e-mails to friends, or find us using the phone for non-work-related calls? What would the photographer find if she walked through our offices? For one day, can we switch roles, and try to have a little empathy for the folks who provide customer service for all of us? Can we try to understand what it is like to make $8.00 an hour working the counter at CVS, working without breaks, while the reader of this blog earns four or five times as much sitting in front of a computer on the day after Christmas? Can we, as business leaders, try to provide a work environment that is rewarding and enjoyable, paying a living wage with benefits, so that the these photos do not need to be snapped? Jim Fulton is Principal of Customer Metrics, Inc. His contribution to the Boxing Day edition of The MineThatData Blog is entitled "Mr. Krabs Is A Database Marketer". c) spend a lot of time listening to – but not watching – Sponge Bob DVDs. And if – like me – you have worked in database marketing for twenty something years, then you will probably start wondering which, if any, of the Sponge Bob characters could be industry colleagues. Having pondered this question for more time than I would care to admit, I write to present a case that Mr. Krabs – Sponge Bob’s boss and owner/manager of The Krusty Krab – shares many personality/intellectual traits with people in the database marketing world. I have noticed that good database marketers and finance types tend to get along rather well. Obviously, there can be some tension on particular tactical decisions – and a little bit of honest skepticism can be useful for all involved -- but on the whole, good database marketers and good finance people both inhabit a world of real numbers, and their personalities tend to veer to the cheap side of the spectrum. DMers obsess about managing tenths of a cent in per-unit postage expense, will push the e-envelope in managing and limiting search engine optimization and affiliate expenses and will generally obsess about incrementality in a way that baffles many in the organization. Database marketing tends not to be the part of the organization that sends staff members off on “multiweek journeys” to “develop a more holistic appreciation of the customer experience” and spends many hundreds of man hours clipping out photos from magazines and assembling them in montages on conference room walls to try to gain insight into customer behavior. Direct marketers are not without their faults (and cheapness can be something other than a virtue), and in our immersion in the heavy quant details, we do sometimes lose sight of the intangible “atmospherics” of the brand. (And I suppose some of those magazine photo montages can provide some insight on this point). In one episode, “Patty Hype,” (http://en.wikipedia.org/wiki/Patty_Hype) Mr. Krabs belittles the idea that a customer would come to the Krusty Krab for “atmosphere.” “They come here for food!” he declares with a certain crustacean curmudgeonliness. Let’s face it, Howard Schultz’s genius was using Starbucks’ “atmospherics” to successfully charge people $4 for caffeinated water. (And I for one think that’s generally a fair exchange). Victoria’s Secret’s genius was to elevate lingerie purchasing from the schlocky to the sensual. A Motorola RAZR’s atmospherics…well, you get the idea. Suffice it to say that a successful direct business needs database marketers, but not just database marketers. The idea of putting more investment in the areas that you’re making the most money is well-intentioned and superficially somewhat plausible, but unless one speaks the language of incrementality, it is ridiculously easy to over-invest in segments that do not provide adequate incremental return. The idea of the Krusty Krab II next door to Krusty Krab I is funny because even an eight year old can recognize that it’s silly. Is it really THAT different, however, from a decision to do an expensive catalog remail to an audience that just got the original catalog six days before? 4) Business = customer base. Perhaps the greatest evidence that, down deep, Mr. Krabs is a direct marketer is the fact that in episode after episode, Mr. Krabs repeatedly – almost obsessively – notes the criticality of “all me paying customers!” At a strategic level, database marketing establishes strategic equivalence between the business and its customer/prospect base. And Mr. Krabs understands this from claw to tail. Don Libey of Libey Incorporated, offers us this Boxing Day discussion titled 'Futures And Presents' to the readers of The MineThatData Blog. If the present is any indicator, the future needs to be reconsidered. The consulting year 2006 is over. I had the privilege of advising and consulting with 35 companies this year, almost all of that work at the request of the CEO or the board. In only one of those 35 companies, was the consulting engagement focused on the future. In the other 34, it was remedial work; analyzing and advising how to fix what was wrong. In the one exceptional company, the question was, “How do we leverage all the things we are doing right and grow the company to a billion dollars?” That was a remarkable experience. That is a remarkable company. So, why are so many direct marketing companies performing at half of their potential? And why are only a handful performing at or above their potential? What makes the difference? The first thing I see is passion. Top performers have a passion for what they do that most of us only dream about. These people love business and they love their business. In one way, they are truly fortunate. Passion of that kind is rare, and very successful people invariably possess it to extremes. In another way, they are cursed. They can never get away from that passion and their lives are shaped by it almost totally and almost constantly. I always ask these passionate, extraordinary people, “What do you read?” The answer has always been, “Peter Drucker’s books,” or “Jack Trout,” or some other business titan. It has never been Charles Dickens or Thomas Hardy or John Steinbeck. Because passionate business owners and leaders are mono-focused on the business, they often re-invent themselves and the business to assure they remain at the leading edges. Others (the 34 others) enjoy the familiar groove, the familiar niche, the same familiar SICs. They maintain the past and the present; the passionate ones create the future. And that is the difference: maintain or create. The second thing I see is the use of money. The passionate creators spend money; the maintainers take the money out of the business and make it earn every step of its undistinguished way. All investment has to be ‘self-funding.’ The exceptional business knows the value of talent, technology, facilities, investment prospecting, advanced logistics, integrated enterprise operating systems. The unexceptional companies have only enough talent, technology, facilities, prospecting, logistics, and operating systems to get by without having to invest anything in the future. Consequently, they often don’t have one. The third thing I see is ideas. The exceptional owners surround themselves with more ideas than they can ever accomplish. But, they have options. The average company spends a lot of time pushing ideas away, mostly because they require investment, but also because they might be dangerous, especially if they aren’t the owner’s idea. All of the original ideas are monopolized in the marketplace by the exceptional companies; the average companies haven’t had an original idea since the first one that got them their niche. The fourth thing I see is people. The extraordinary company has extraordinary people and all of them are also passionate. The average company has average people and none of them are passionate. Extraordinary attracts extraordinary; average attracts average. And when average companies inadvertently attract an extraordinary person, the result is painful and short-lived (and the extraordinary person moves on). The fifth thing I see is attention to basics. While leading in innovation, technology and ideas, the extraordinary company is also totally grounded in and proficient with all the direct marketing basics. They know the numbers off the top of their heads—and they are accurate numbers—to the penny and the percent. The average companies are struggling to cover or discover the basics. They are employing entry-level people to manage the circulation plan because they are cheaper and—after all—all you have to do is tell Abacus what it is you want and they do everything. The extraordinary company is running circles around its competitors in every channel because they have a seasoned, confident and proven circulation pro working with a seasoned, confident and proven broker and everybody’s feet are held to the fire for performance and productivity. And the extraordinary company doesn’t ask for a discount; in fact, they often pay their broker a higher commission for delivering higher prospecting performance. The sixth thing I see is elegance. The extraordinary company has an elegance of mind as well as an elegance of style. The owner wears custom made or designer clothing and has a custom analytic and perceptive mind. The restrooms and the minds are well-decorated and fully furnished, one with choices of soaps and linen towels, the other with concepts and open-minded reasoning. The warehouse and the personality are neat, orderly, clean, automated and totally organized. These people are their business; the business mirrors the person. And the management team in these extraordinary companies lives that elegance. The average company is—well—average. Things are a little dusty, a bit wrinkled. The seventh thing I see is boldness. The extraordinary companies are fearless; the average companies are fearful. One attacks the future; one defends the past. One is comfortable with challenge and the unknown; one is comfortable with only the known and what once worked. One leads; one follows. One takes risks; one is riskless. The eighth thing I see is inclusion. The extraordinary company includes all of their trusted advisors in their research and decision-making processes. The conference room for a strategy session may have 10 or 15 vendors, suppliers, consultants, all charged with the objective, “Help us leverage what we do well to become a $1 billion company.” And every one of these Trusted Advisors wants to be innovative, wants to find a breakthrough, wants to create, wants to uncover a hidden opportunity. The average company doesn’t trust its vendors; bends them for another 2 percent; spreads the business among as many as possible to assure the lowest possible price, and often lays failure at the feet of the vendor. One is inclusive and thrives on the combined intellect of many; one excludes and wastes away on the squandering of intellectual opportunities. The ninth thing I see is rule breaking. The extraordinary companies do almost everything differently than they should; they disregard what should be for what is. While attending to the direct marketing basics and truth, they also only believe what the customer tells them. And if what the customer wants requires breaking direct marketing conventional wisdom—out goes the conventional wisdom! The average company plays by the rules, takes no chances, hasn’t talked—really talked—to a customer in years. Chiseled above the door is the time-worn motto: Status Quo. The tenth thing I see is questioning. The extraordinary owner or leader questions everyone they come into contact with. These are not accuracy questions, rather questions about what is new, how others are changing pagination, what landing pages are working, whether video is getting prospecting response in search hits, how much fall off in pay per click there was in October, whether long term response is eroding in co-ops . . . and a thousand questions aimed at people with knowledge that can be utilized. The average company asks few questions and—frankly—usually doesn’t know what questions to ask. And, I guess that is what I see after the 2006 consulting season. I wonder what we will see next year? Imagine . . . . What if we waved a magic wand and gave every average direct marketing company the ten attributes of an extraordinary company? Michael Gamma of Direct Marketing Solutions can be reached at mgama@teamdms.com. Here is his Boxing Day submission to The MineThatData Blog. It was in the early 1980s that I actually encountered a sophisticated form of what we have come to call database marketing. I attended a conference of some sort in Portland, Oregon and there was fortunate enough to hear a presentation delivered by the folks from Harry & David and Bear Creek catalogs fame. Prior to this I had long wondered why – if the feds could “predict” all sorts of things such as the unemployment and inflation rates well into the future – why couldn’t I, as a direct marketer, also predict things such as response and conversion rates? Well, by the end of the Harry & David presentation, I was convinced that even if I couldn’t, at least these guys from Bear Creek could! At the conclusion of the presentation, I ventured forward and inquired as to their “secret.” As I learned, their “secret” of all this was as unattainable for me as it was simple. Simply put, these two database-marketing pioneers had one PhD in statistics and MA in computer science and math between them and had painstakingly custom programmed their way to this Promised Land. As such, entry into such lands for more pedestrian marketers such as myself was not to become possible until much later. And come it has, as we now can perform database marketing exploits from the desktop that these two early birds could only have main-frame dreams of in those days. This said, the potentials of this database management, manipulation and marketing are now well known. And in some circles, even well used. I would like to now propose two possible pitfalls of our newfound prowess. It would be good, I suspect, to be aware of and to therefore avoid these as we enter a new year. They are simple, and related. First, we must work to avoid mistaking the technology for the “thing.” If we learned nothing from the dot-bomb experience, we should have at least learned this. Again, as wonderful as technological solutions (and capabilities) might be, we must always remember that technology is not the customer. Nor is it the relationship. And not the sale. And certainly isn’t the bottom line. At best, technology is a neutral facilitator, which may be used well or poorly used. I suspect it falls into the latter category when we mistake it for the central issue in the commercial exchange. Related to this, the second pitfall we must avoid is that of doing something just because we can. Or simply because the technology enables it. Foremost in our minds at this point must be the centrality of our customer. Does this technological gizmo (or bauble) bring value to the customer? Or, are we simply doing something just because we can, hoping all the while that the customer will be “wowed” by our technical prowess and respond in the only fitting fashion – by heaping upon us his hard earned treasure. Perhaps an antidote to each of the above pitfalls (to horribly mix metaphors not to mention splitting infinitives!) is to work hard to think of our customer first. Before we consider ourselves, before “sales” figures even, and certainly before our latest technologies. It seems that if we work hard to keep this focus, we will be more likely than not to successfully miss the twin pitfalls indicated above. It’s not rocket science – thinking of others first – it’s just that it’s still among the most difficult things we may ever do, whether in our personal or business/commercial lives. My suspicion, though, is that our success in both will likely be tied to our ability to do just that – think of others first. People – our clients included – know when we’re genuine and when we’re guilty of considering ourselves (our technologies, or profits or bottom lines) ahead of them. In other words, using them as ends. Reduced to its absolute bare metal minimum, heads-up database and successful marketing is simply – “simply” – one’s ability to marshal latest technologies in the quest to know and serve people (i.e., our clients) better. Keeping this focus, I suspect, will allow us to avoid the pitfalls outlined above. Conversely, consistent self-focus will certainly land us in the above pitfalls, and perhaps even deeper ones. Making this mistake a few too many times could result in that dreary possibility of landing face down in such a pitfall with no one left to drag us out! Jeff Larche hosts the popular blog, Digital Solid. Here is his Boxing Day contribution for The MineThatData Blog. We mammals celebrate Mother’s Day more deeply than other classes of creatures. We’re born in need of nurturing. The debt that humans (and the other 5,500 species of mammals) have to parents and community begins at birth and marks us for life. I suspect this is why we have an unconscious reaction to being watched. In a previous post, An online ad tip from an eye-tracking expert, I described how the only consistently successful online advertising tactic found by one researcher was the use of a pair of human eyes staring directly back at the web page visitor. These ads drew visitors’ attention like magnets — an important factor, since you must attract viewer attention before you can do anything else (like generate a click from that person). We all know the scene: the departmental coffee room, with the price list for tea and coffee on the wall and the “honesty box” where you pay for your drinks — or not, because no one is watching. Melissa Bateson and colleagues at Newcastle University, UK, put up new price lists each week in their psychology department coffee room. Prices were unchanged, but each week there was a photocopied picture at the top of the list, measuring 15 by 3 centimetres, of either flowers or the eyes of real faces. The faces varied but the eyes always looked directly at the observer. In weeks with eyes on the list, staff paid 2.76 times as much for their drinks as in weeks with flowers. “Frankly we were staggered by the size of the effect,” [reports] Gilbert Roberts, one of the researchers. 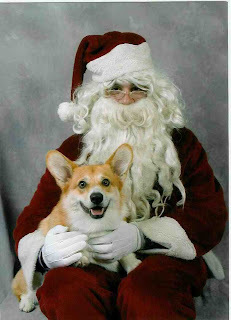 Merry Christmas to all of you who participate in The MineThatData Blog, from both my dog (Bert, a Pembroke Welsh Corgi) and I (I don't usually look like this ... that's me in the costume). J. Jill, Coldwater Creek, or an Eddie Bauer Catalog? 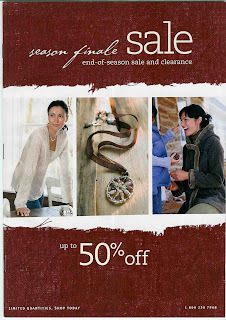 Today, this sale catalog came in the mail. Go ahead and click on the image. Do you see the company/brand name anywhere on the cover of this catalog? "It was either a J. Jill catalog because of the font, a Coldwater Creek catalog because of the merchandise, or an Eddie Bauer catalog because of the word 'sale'". Your turn to participate. Is this a J. Jill catalog, a Coldwater Creek catalog, or an Eddie Bauer catalog? Here's a more important question that you can answer, on your own, or in the comment section of this post. Is it wise for a company to not mention their brand name on the cover of a catalog? Is this brilliant marketing, or completely bone-headed marketing? What do you think? Here are the top ten Friends of MineThatData for December 22, 2006. Blogs that focus on Web Analytics, Direct Marketing, Database Marketing or Analysis, with a focus on helping others, are eligible for inclusion in this list. If you believe your blog should be included, leave a comment, and I will visit your site for potential inclusion. Juice Analytics made a nice move this month, as did Sports Marketing 2.0 and Digital Solid. All members of the Friends of MineThatData scored nice increases in their audience, as measured by BlogJuice. Remember, you have three more days to submit your article for inclusion in my "Boxing Day" promotion on December 26. Anybody (bloggers or non-bloggers) who has something to say about marketing or database marketing can submit their content to me, and I will post it on Boxing Day. I have three submissions so far, so there's room for more! Also, we have five weeks left in our challenge to help the catalog/online industry measure advertising effectiveness. The dataset has been downloaded more than two hundred times, and we already have a valid answer to the challenge. There's still forty days to work on the project, so have at it, and help us do something good for the catalog/online industry!! Update December 22, 2006, 11:13pm PST: Seth Godin has a Squidoo lense allowing you to rank each blog on the Z-List. Here is the link. Time to address a few things happening in the marketing blogosphere. Mack Collier, who writes the consistently interesting blog, The Viral Garden, started a concept called the "Z-List". Mack tried a strategy to get links and attention for blogs that are not on the "A-List". The concept has accomplished the "viral" nature intended by Mack. This week, Becky Carroll at Customers Rock! added our blog to the list. How nice, Becky. No wonder your blog has taken off so quickly! Below, I include a copy to the list of blogs that have been mentioned, so far. Each of these blogs acquires another link, and hopefully some traffic. I visited every one of these blogs, there is some interesting information that you might enjoy perusing. Here's the list, as it resides on Becky's site. Once we get through this list, I'll add a few blogs that I follow to the list. And here are several additions that I believe are appropriate for this list! Holiday Shoppers, Who Are You? Several trends have accelerated changes in customer behavior over the past five years. Catalogers always knew that Christmas shoppers were different than all other customers. Back in the day, the catalog shopper purchased Christmas merchandise between October and late-November. Catalogers knew these customers were different than customers who shopped during other times of the year, and changed the catalog contact strategy to target these individuals less during other times of the year. Multichannel and Online Retailing changed the rules, making our lives more challenging. The Holiday Shopping Window. Customers now shop for Christmas during the first three weeks of December. Database Marketers need to follow these customers, to see if they behave like all other customers during the remainder of the year. Expedited Shipping. Is the customer willing to spend $27 to have an item delivered next-day to a gift recipient worth more than other customers? In the past, we would say "YES"! These days, the answer isn't certain. The customer may not care about your brand, the customer may simply care that you can deliver an item quickly. You have to run Multichannel Forensics on this customer segment, to understand their future value and behavior. Gift Cards. Has anything mucked-up customer analysis more than gift cards? Is the customer who purchased a gift card worth more than other customers? Does the gift card recipient have any long-term value? Sale Merchandise. We retailers really messed up this one. We declare the day after Christmas as a day for customers to get great bargains. Customers respond by not purchasing full-price merchandise prior to Christmas, delaying purchases for sale and clearance product after Christmas. Retailers see decreased demand prior to Christmas, and accelerate markdowns after Christmas. Brilliant! What does the marketer do with the customer who buys sale merchandise on December 26? What does the marketer do with the customer who buys sale merchandise with a gift card on December 26? Do you define these shoppers as true "customers"? Multichannel Mess. We compromise the potential of the online channel by forcing pricing parity across channels. We provide the customer with a wonderful multichannel online shopping experience on December 26, one that is less profitable for the enterprise. Today's savvy Database Marketer has no choice but to develop customer profiles that take the Holiday Shopping Window, Expedited Shipping, Gift Card Buyer/Redeemer, and Sale Merchandise Buyer into account. Once the profiles have been developed, the marketer can determine whether the sale buyer using a gift card on December 26 deserves to receive a full-price e-mail campaign in February, or a 148 page catalog in May. Just as important, the Database Marketer needs to run Multichannel Forensics on the customer profiles, to understand if there is any potential to get these buyers to purchase full-price merchandise at other times of the year. I always find it fascinating to watch what happens to businesses that are on the decline. Viewed differently, there are four ways that customers interact with products, brands or channels. Isolation Mode. Customers stay loyal to this business mode, not opting for other products, brands or channels. Equilibrium Mode. Here, customers are likely to try out other products, brands or channels. Usually, customers purchasing from one product area (MP3 players) are likely to purchase from another product area (computer accessories), and vice versa. Transfer Mode. This occurs when customers are actively switching out of one product, brand or channel (dial-up internet access), migrating to another product, brand or channel (broadband internet access). Oscillation Mode. While rare, customers can switch back and forth between products, brands or channels, on an alternating basis. For instance, a customer purchases a new car, and deals with the sales department. Then, the customer switches to the service department. Eventually, the customer switches back to the sales department, for a new car. The customer is 'oscillating' between channels. Life is very interesting when businesses are stuck in or slip into 'transfer mode'. How businesses respond to this situation largely determines their success or failure. For instance, AOL customers transfer out of dial-up internet access, but did not transfer their allegiance to AOL's broadband product. AOL management evaluates the situation, and decides to figure out new ways to monetize their business via the loyal audience they possess. Other business models attempt different ways to combat transfer. Network television represents an interesting take on this situation. As television customers migrate out of network television to cable, and then from cable to the internet, network television counters the loss of customers by increasing how much they charge advertisers. Some businesses aggressively recruit new customers, to make up for the customers lost via transfer. As long as new customers can be recruited in a cost-effective manner, and at a rate that is greater than the rate which customers are transferring out, the business can be successful. Other businesses pass the cost of a failing business on to the remaining set of loyal customers, further accelerating transfer to other businesses. Airlines charge $7 for a small sandwich, or professional basketball teams charge $100 a seat to sit in the lower bowl to help recoup out-of-control salaries. When implementing these strategies, the business must be mindful that there is a ceiling, and once the pricing strategy breaks through the ceiling, the remaining loyal customers will not come back. At the end of the day, there are a small number of things products, brands or channels stuck in 'transfer mode' can do. Create new products and services that customers prefer. Acquire more customers than are transferring out of the business. Change the business model and associated revenue generation strategy. Require existing customers to increase their spend in order to offset customer transfer. Reduce expenses by reducing quality, outsourcing capital, or reducing capital expenditures. What are your thoughts on this? Are there businesses you enjoy following as they deal with the transfer of customers to other products, brands or channels? Are there examples of what businesses can do that I failed to include in my list? What are your thoughts? Over the past ten years, I have been very pessimistic about the future of catalogs. Catalogs as a true sales driver have become relegated to an audience over the age of forty-five. Younger consumers increasingly use search, e-mail, and social media to complete their direct-to-consumer transactions. Recently, I've been able to envision a future for a catalog that is purely advertising-related. As multichannel retailers move from mass media (television, radio) to more accountable forms of marketing, catalogs have the potential to drive sales in a more productive way than mass media. It is in this manner that catalog may have a future. Between the past and future of catalogs is this quirky time known as 2006-2007. You'll continue to see multichannel retailers change circulation strategies. Page counts have to decrease over time, as the catalog becomes nothing more than a targeted advertising vehicle. When page counts decrease, it is possible to increase circulation. The multichannel retailer could test these strategies in 2007, to understand the sales impact on the business as catalogs evolve from sales drivers to targeted advertising vehicles. Most likely, the evolution to smaller page counts will result in decreased sales. The multichannel retailer can increase reach, save expense, and potentially drive increased profit. For instance, a 160 page catalog mailed to 500,000 customers might drive $3,900,000 across channels, yielding $1,120,000 expense and $128,000 profit. A 48 page catalog mailed to 1,000,000 customers might drive $2,900,000 across channels, yielding $580,000 expense and $343,000 profit (send an e-mail if you want to see the spreadsheet outlining the simulation). The smaller catalog strategy, mailed to more households, could yield increased profit. Over time, multichannel retailers will figure out how to calibrate creative in order to better drive sales across all channels. It's time to start testing! UPDATE, WEDNESDAY EVENING: Power came back on Tuesday evening at about 11:00pm. Whew! A big thank you to the hard-working folks at Puget Sound Energy, and especially to the folks who flew in from a dozen western states to help us. UPDATE, MONDAY EVENING: Power is scheduled to come on in East King County between Thursday and Saturday, a full 7-9 days after the storm hit. It would be interesting to see how the national media dealt with the entire state of Rhode Island not having power for nine days (East King County is about the size of Rhode Island). Sunday evening is night number four without power, because of the mega windstorm that hit the Pacific Northwest. Still no hope of getting electricity out here in the foothills of King County. Things are starting to get smoggy because so many people are using fireplaces for heat. There is a fine line between our modern civilization and the year 1790. In East King County, we are a road closure on I-90 and Hwy 202 away from being thrust into the year 1790. Anybody have any horses to lend us? P.S. A big thanks to all the souls arriving from 10+ western states and British Columbia to help us get electricity! I wonder how long it will be before retailers try out a concept that I call a "mini-catalog". This might be an eight page PDF document (see DMNews and their Outlook 2007 for a media-version of the concept), featuring a number of top-selling items. The objective of the mini-catalog is to get you to print it on your color printer, and then use it as a guide for your in-store shopping experience. The mini-catalog could be downloaded via a weekly e-mail campaign, an RSS feed, or could be featured on a key landing page of the website. In addition, these "mini-catalogs" could be developed to improve natural search results. Even better, the retailer could allow the customer to cobble together ten or twenty favorite items, which could be assembled into an on-demand catalog that the customer prints on their home or work printer. The on-demand catalog is just a fancy version of the shopping cart, a place customers store mechandise that they might be interested in purchasing at a later date. The concept of the on-demand catalog is something that retailers and catalogers are bound to begin exploring in 2007 and 2008. The on-demand catalog allows the customer to assemble the products and services s/he is interested in. The multichannel retailer gets to identify items that are of interest to these highly engaged customers, and use that information to personalize e-mail, print and RSS campaigns. Mini-Catalogs and On-Demand Catalogs. Expect to see multichannel retailers explore these ideas in 2007 and 2008. We get a lot of windstorms in the Pacific Northwest. Almost none of them are newsworthy. Wind gusts can hit seventy or eighty miles per hour, even a hundred miles an hour on the coast. Thursday evening's windstorm was one for the record books. Our wind gusts were not that unusual, mid 50s to mid 60s in Seattle. The sustained winds of more than 40mph, from Vancouver through Washington and Oregon into even Northern California, lasted six straight hours, and did a lot of damage. A Seattle woman drowned in her basement while it flooded. Falling trees killed several individuals. I heard many trees go down overnight Thursday. And now, a half-million homes, more than 1.2 million people, are without electricity, two days later. I am one of these folks. With so many trees down and transformers blown, it could be until next weekend before everybody is back online. Puget Sound Energy thinks some of the larger cities could have power between now and Monday. Our "on demand" world is shown for what it is during these times. By last evening, just twenty hours after the storm hit, gas stations in areas that have power were already out of gas. Fortunately, downtown Seattle has power, so more than a million people can impose demands upon this part of King County. Once you cross Lake Washington, heading east from Seattle, it gets pitch black. And it stays this way for one hundred miles to the east. We threw hundreds of dollars of rotten food out this morning. Temperatures continue to be in the low 40s during the day, around 30 at night. That's really cold for more than a million folks who don't have any way to heat their home. Electricity is darn important, and is something we really take for granted. Our technology-based world crumbles without electricity. Cell phones and laptops quickly become useless. Broadband Internet has no value without power. Televisions don't work. We listen to AM radio, and have gained a new appreciation for C and D batteries. Advice: Stock up on seven days of supplies, just in case nature decides to impose her will on your family. Jim Fulton sends us this article about customer loyalty in the automobile industry. Brands who retain sixty percent or more of their customers, placing them in "Retention Mode", include Toyota, Lexus and Honda. Other top ten brands who retain between forty and sixty percent of their customers, placing them in "Hybrid Mode", include BMW, Scion, Cadillac, Chevrolet, Mercedes Benz, Ford and Hyundai. Retaining customers in most of the online/catalog industry is important, but isn't a life or death proposition. There are always new customers that can be acquired at a reasonable cost, and the risk in buying a t-shirt isn't so huge that a customer can't be forgiving. But the risk of making a mistake when buying a car is significant. If the car doesn't meet the expectations of the customer, the customer is stuck with it for several years, or sells it, and pays several thousand dollars to cover the depreciation. So in the automobile industry, customer retention, and loyalty, mean everything. Let's compare Toyota with Ford. Toyota retains about 63% of prior Toyota buyers, whereas Ford retains 53% of prior Ford buyers. Ford sold 3.4 millon cars in North America last year. In four years, Ford will retain 340,000 fewer customers than Toyota. At an average of $23,000 per car, this means Ford will lose out on $7.8 billion dollars of sales four years from now, because Ford customers are less loyal than Toyota customers. Worse, some of the lost customers will purchase from Toyota, leaving Ford an even bigger hole to dig out of. Of course, Ford loses this $7.8 billion each and every year. The impact is not additive, it is actually multiplicative. You can see why Ford has to spend $5 billion dollars each year on advertising. Ford has no choice but to recruit new customers, to reverse this downward spiral. On big ticket items with long life-cycles, customer retention means everything. Companies do dig their way out of customer retention problems. In the automobile industry, it just takes longer to dig out. I'm glad I've worked in the apparel industry for the past sixteen years, where it isn't as hard to dig out of loyalty problems. The Harvard Business Review publishes free weekly podcasts. Podcast number nineteen featured an interview with Leon Gorman, Chairman of L.L. Bean. Mr. Gorman spoke about L.L. Bean's multichannel growth strategy, which includes retail expansion on the East Coast. Mr. Gorman states that sales via the online channel have exceeded sales in the catalog channel, and that he believes customers need catalogs, websites and retail stores in order to have a comprehensive multichannel shopping experience. Time for you to play Virtual CEO. If you were CEO of L.L. Bean, and had access to an additional twenty million dollars, how would you invest that money? Would you mail more catalogs? Would you invest in online marketing? How about traditional advertising channels like television, radio, newspapers, or magazines? Would you build new stores? If you chose to build new stores, would you build them in the Northeast, where L.L. Bean has brand recognition, or would you push the L.L. Bean retail chain to new markets like Chicago, or even Denver? Realistically, L.L. Bean has maximized its direct-to-consumer audience. If Bean wants to grow, it almost has no choice but to invest in the retail channel. It should be fun to watch the evolution of this business. It's a shame they aren't publicly traded --- if they were, we'd have access to more financial information! Boxing Day is celebrated on December 26. Those of you who spent your formative television years in the 1970s know that an episode of MASH dealt with Boxing Day. In that episode, folks like Klinger made all the decisions, while Hawkeye, B.J., Charles, Margaret and Colonel Potter did all the real work required to run a camp. So, let's try out Boxing Day at The MineThatData Blog! Here's what I am going to do. Anybody who has content appropriate for the readership of The MineThatData Blog (any marketing profession, database marketing, multichannel marketing, web analytics, direct marketing, the catalog/online industry), and is not trying to sell something is welcome to participate. Send your article to me prior to December 25. All submissions that "pass the filter" will be published on December 26. Do you have something you have always wanted to write about, but don't have an outlet for your content? Give this forum a try. Send your content via e-mail (kevinh@minethatdata.com), in Microsoft Word format or PDF format (or even send the content in the body of the e-mail). Include your name, title of your article, and your website/blog if you have one. Black and White, or Gray? A question for you, the loyal reader. I read a post on an analytics blog about "which side is right?" The debate was spirited. Neither side could convince the other side they were "right". I do believe there are certain issues where there are "right" and "wrong" ways of doing things. For instance, you probably shouldn't have a page in the J. Crew catalog that is all white space, with a small image of a women's t-shirt on the bottom of the page, and big, black print that says "BUY THIS ITEM" across the upper two-thirds of the page. If you don't believe me on this one, test it for yourself. Let me know what you learn. Any issue that includes dealing with people, to me, requires varying shades of gray. What is right for one person is not right for another. With a group of individuals, things get "gray" in a hurry, in my opinion. In your profession, are there examples of "right" and "wrong" ways of doing things? Are there examples where the answer isn't "black" or "white", but instead, varying shades of "gray"? Undoubtedly, many of you are putting the finishing touches on your online marketing, e-mail marketing, or catalog marketing budget for 2007. Oh, the excitement! Is there anything more enjoyable than sitting across from your Chief Financial Officer, having to defend why it is important to advertise with a certain affiliate at a time when expenses need to be trimmed by ten percent? CFO's demand rapid, financially-based answers to questions. The humble Chief Marketing Officer or Online Marketing Executive needs to be able to respond in a credible, but timely manner. Most of the time, when asked a random question, you don't have the appropriate data with you to answer the question quickly. This is where the "square root" function comes into play. Frequently, sales generated by advertising follow a "square root" function. In other words, if you had the opportunity to increase your marketing budget by twenty percent, your net sales would increase by the square root of 1.2. This number is (1.2 ^ 0.5) = 1.095. In other words, a twenty percent increase in marketing spend yields a 9.5% increase in net sales. This becomes important when the CFO makes a random statement like,"Please reduce your marketing budget by ten percent, you have no choice in this, everybody must share in the pain." Notice how the profit and loss statement changes. In this case, the CFO may have a good suggestion, as the incremental advertising dollars are not yielding a sufficient return on investment. Conversely, the numbers might work out in your favor, giving you the ammunition to actually ask the CFO for more money! Not every business follows the "square root" rule. Your analyst can help you figure out which relationship makes the most sense to build the scenarios around. But in a pinch, go with the square root function. And then ask your CFO to quickly cost-justify some of her investments! !